While SEP contribution levels stayed the same, contribution levels for 401(k)s, SIMPLE IRAs and Roth IRAs increased for 2019. 401(k) contributions for employees increased to $19,000, along with 403(b) and most 457 plans. SIMPLE retirement accounts increased to $13,000. For Roth IRAs, income phase-out range increased. Married couples filing jointly will see the amount increased from $189,000 to $199,000. For singles and heads of household, the income phase-out range bumped up with a range of $122,000 to $137,000. This is an increase from the previous range of $120,000 to $135,000. Both traditional and ROTH IRAs contribution limits rose by $500 to $6,000 (over the $5,500 limit in 2018). However, catch-up contributions if you’re 50 or older remain at $1,000. FSAs If you offer a flexible savings account for medical expenses, the amount employees can contribute increased from $2,650 to $2,700. There is one caveat: the amount for dependent care is fixed at $5,000. Healthcare Savings Accounts: Employees with individual coverage can contribute $3,500 (up from $3,450 in 2018), and $7,000 for a family plan (up from $6,900 in 2018). Adoption benefits: If you’re looking to adopt, the annual Adoption Assistance Limit increased to $14,080 (up from $13,810 in 2018). QSEHRA: If you’re offering a Qualified Small Employer Health Reimbursement Arrangement, also called QSEHRA or a small business HRA, self-only coverage increased to $5,150 (up from $5,050) and $10,450 (up from $10,250). If you enrolled in a Small Business Health Options Program (SHOP) or are considering doing it, you can then apply for the small business health care tax credit. It’s also important to note, for eligible small employers the average annual wage level at which the tax credit begins to phase out is $27,100 (up from $26,600). Taxes for unemployment vary on a state-by-state level. The rate usually depends on the size of your company and how long you’ve been in business, as well as other factors like the number of former employees who have applied for unemployment benefits, your company’s historical turnover rates, and your industry . Each state has a program to fund its unemployment pool via the State Unemployment Tax Act, better known as SUTA. Employers must pay this on behalf of their employees. American Payroll Association has a free chart of State Unemployment Insurance Taxable Wage Bases. States seeing a wage base increase include: Alaska, Colorado, Hawaii, Idaho, Iowa, Kentucky, Minnesota, Montana, Nevada, New Jersey, New Mexico, New York, North Carolina, North Dakota, Oklahoma, Oregon, Rhode Island, Utah, Washington and Wyoming. Missouri and Vermont will see decreases. The Federal Unemployment Tax Act — also called FUTA — tax rate in 2019 is 6 percent. This applies to the first $7,000 you paid to each employee as wages during the year. According to IRS.gov, you can usually take a credit against this tax if you’ve paid state unemployment taxes. If you’re entitled to the maximum 5.4 percent credit, then the FUTA tax rate, after the credit, is reduced to 0.6 percent. Nineteen states increased their minimum wage at the start of 2019. Another two states—Washington and Oregon—will see increases in July. Payroll taxes can be complicated. An employee’s paycheck typically includes taxes for federal income, Social Security, Medicare and in many locations, state income tax. The Social Security tax rate of 12.4 percent is split between employer and employee who each pay 6.2 percent of the gross pay — while the tax rate remains the same for 2019, the tax cap increased to $132,900 in annual earnings for 2019 — up from $128,700 in 2018. This means the maximum amount of Social Security tax employers and employees will each pay in 2019 is $8,239.80. This is a $279 increase from the $7,960.80 amount in 2018. The one exception, if you’re self-employed, then you pay the full 12.4 percent. Social Security are then combined with Medicare taxes for FICA (Federal Insurance Contributions Act) taxes. (Federal law also requires employers to withhold an additional 0.9 percent for anyone who earns more than $200,000.) The Medicare tax rate remained the same at 1.45 percent which is applied to all earned wages since there aren’t threshold limits for Medicare taxes. According to the IRS, for wages that don’t exceed $132,900, the combined social security tax rate and Medicare tax rate is 7.65 percent each for the employee and employer for wages paid in 2019. For those who are self-employed, FICA tax rate is 15.3 percent — which combines the Social Security tax rate of 12.4 percent and Medicare tax rate of 2.9 percent. Extra perks, like qualified transportation fringe benefits help many employers who are working with millennials. If you offer these benefits which include vanpooling or transit passes, the tax-free amount increased to $265 a month, up from $260 a month in 2018. If you need more insights, review the IRS’ Employer’s Tax Guide to Fringe Benefits. There may be several weeks left in the year before you officially close the books and shift your focus to next year, but getting a head start on your financial housekeeping tasks can ensure you end this year on solid financial footing — and start the next one with a plan to succeed. Here are six business tasks to complete before you ring in 2019. If you don’t have a self-employed retirement plan, there’s still time to establish one, and make contributions to it. In turn, you may also find opportunities to reduce your tax burden. As Forbes explains, a sole proprietor who has a solo 401(k) in the 2018 tax year may be eligible to contribute up to $60,000 to it (based on net business income, and the business owner’s age). If you prefer a retirement account with little costs and administrative burden, consider establishing a self-employed IRA (SEP IRA). Many providers allow you to complete account set up, funding and management entirely online. And, you may be eligible to contribute (the lesser of) 25% of your business income, or $55,000, in 2018. If you don’t have consistent contact with your accountant, set aside time to discuss your business’s current financial reality. You should also discuss your business goals, future plans and anticipated challenges for the remainder of this year, and next. If possible, schedule the meeting to take place at least two months before year-end. Doing this will give you enough time to act on any recommendations for optimizing your finances before this year ends. When you meet, let your accountant know of any additional financial moves you are considering that could have tax ramifications. Things that could fall into this category include buying or selling new equipment or assets. Beyond the numbers on your financial statements, ask your accountant for any recommendations to improve or optimize your business finances, based on the current and future plans you’ve shared. Confirm your estimated payments are accurate. If your business is a sole proprietorship, partnership or S corporation, the Internal Revenue Service says you may be required to make estimated tax payments if you expect to owe $1,000 or more when you file your annual tax return. Corporations have to make estimated tax payments if they expect to owe $500 or more when filing their tax return. (Depending on your business, you may also be responsible for payroll, sales, and excise taxes). If you picked up new clients or sales were stronger than expected, you may owe more tax than originally estimated. Ideally, your quarterly estimated tax payments are made in equal increments. But the IRS does put the onus on taxpayers to estimate income as accurately as possible to avoid penalties. They also expect you to ensure it remains correct based on business or tax law changes that may impact it. Confirm tax paperwork for independent contractors you’ve hired. If you’ve hired independent contractors over the course of the year, the IRS requires that you have their completed Form W9 (and that you keep it on file for at least four years). Sites that make it easy to hire virtual help also make it simple to hire contract help. However, they can also make it difficult to keep in touch with contractors who are several states (or countries) away. Regardless, the IRS also states that employers who pay an independent contractor $600 or more over the course of one year “may have to file Form 1099-MISC, Miscellaneous Income, to report payments for services performed for your trade or business.” Allow yourself the time to collect the paperwork you need from contractors so you’re prepared to issue the Form 1099-MISC tax forms. Note that you may be required to send them for payments by late January 2019. Conduct an employee satisfaction survey. Employee engagement may not seem financial in nature — until you consider the impact that disengaged employees have on business productivity, customer experience, and culture. Experts at Villanova University’s School of Business report that increasing your investment in employee engagement efforts by just 10% can yield $2,400 in profit (either directly or indirectly) from each employee, each year. Engaged employees are also 87% less likely to leave their jobs. And, having engaged employees may reduce costs associated with employee turnover, hiring and training. Take a pulse on employee engagement in your company with a basic online survey tool and questions that address what consultancy firm Deloitte says are the five pillars of employee engagement: Whether employees feel their job provides opportunities to do meaningful work, involves hands-on management with positive coaching, guidance and support, a positive work environment and culture, and trust in leadership. If you find that you have engagement issues, your survey can provide the insights you need to address issues. Once you know where problems may lie, you can work to improve employee productivity, engagement and satisfaction next year. Organize your receipts and financial statements. You have several months until tax season officially arrives. 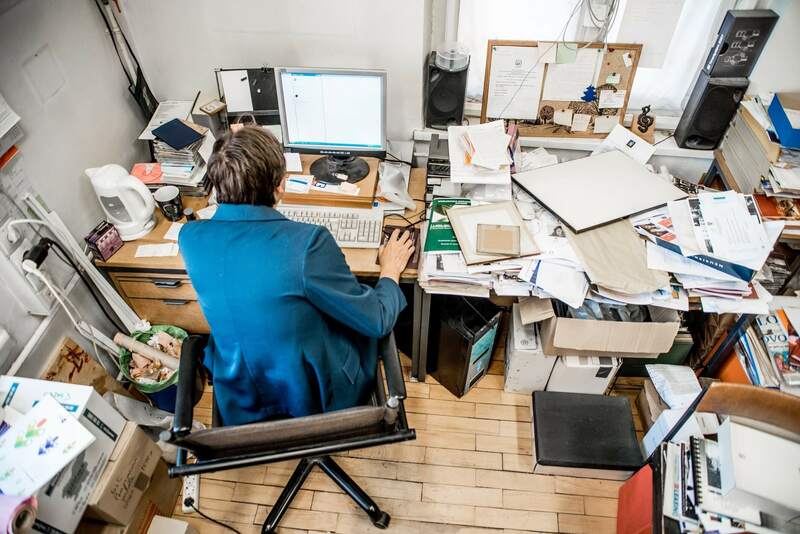 But, the earlier you compile the receipts, mileage logs and cancelled checks you’ll need to support business-related tax deductions and credits, the less you’ll have to scramble as tax season approaches. If you rely on a bookkeeper or accountant to prepare your business tax return, ask his preference for how you should organize and transfer tax-related documents, to streamline the process (and better manage the billable hours you’re charged for their tax preparation services). Managing payroll can be tedious and time-consuming, but it’s a necessary task if you have employees. Finding ways to streamline the process can make it a less onerous chore, and rethinking your current payroll software provider may be the answer. If you’re looking for ways to make payroll a less stressful part of your business operations, here are four features to look for. If you ask your employees whether they’d like to take a DIY approach to managing payroll, the answer might be a resounding yes. According to a Paychex survey, 73 percent of workers would prefer to use self-service tools for things like downloading or viewing payroll information and checking their hours, versus contacting human resources. Adding a self-service component to your payroll system can also make it easier for employees to handle more mundane tasks, such as changing their address, notifying your business of a life status change (like a marriage or birth of a child), submitting time off requests for holidays or sick leave and filing expense reports – taking those administrative burdens off your shoulders. There’s an app for just about everything these days, including payroll processing. Payroll mobile apps are designed to coordinate with your payroll software so you can review hours and approve payroll payments from anywhere, at any time with just a few taps on your phone or tablet. Some apps do even more than that. You may have the added benefit of being able to set up direct deposit for your employees and/or calculate and schedule your payroll tax payments from your mobile device for even more convenient payroll management. You may already use notifications and alerts to manage your business banking activities and they can be equally helpful for managing payroll. If you struggle to keep up with payroll or tax filing deadlines, for example, you can simply set up an alert to notify you when those due dates are approaching. Alerts can also be helpful in detecting payroll errors. Your payroll software may automatically send out a notification when the information on an employee’s record doesn’t match up with what’s listed on their pay stub. That can help ensure that employees aren’t being over or underpaid. Printing paper checks may not be cost-efficient if you’re shelling out big bucks on ink and paper. Writing out checks by hand can be a huge drain on your time. Adding electronic payment options — such as direct deposit or pay cards — into the mix makes paying employees less of a hassle. 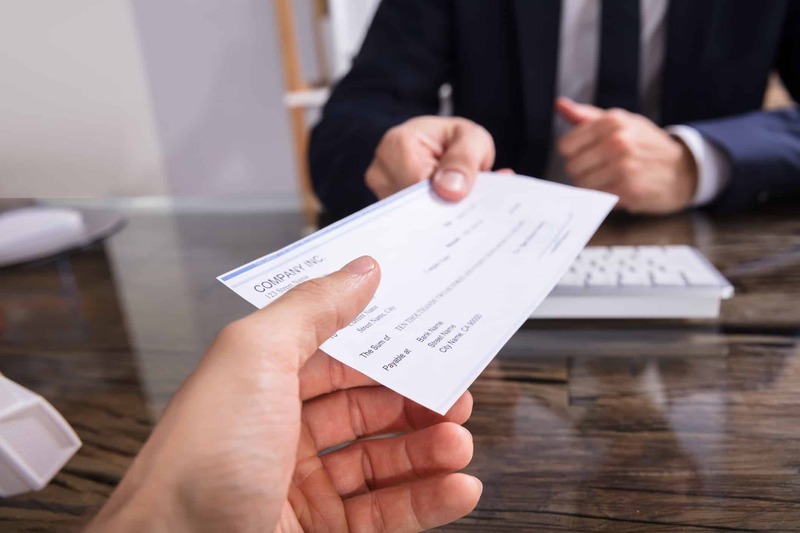 Using direct deposit or pay cards can reduce the potential for payroll reporting errors and your employees may appreciate being able to access their money faster. Switching up your payroll software may require an initial investment but think about the potential return. Upgrading your payroll system could save you time and money, both of which are invaluable for growing your business over the long term. You need inventory to fill orders, so having plenty of everything on hand might seem smart. There would never be a stockout and closing sales would be as easy as sending someone to the warehouse. 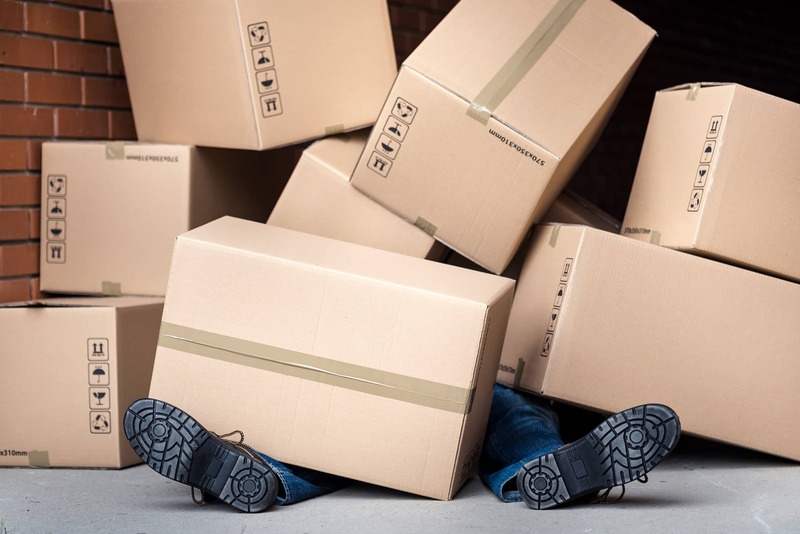 But maintaining too much inventory may undermine your business. Holding considerable inventory can force you to hold more product than is necessary. What you might consider, instead, is only stocking the amount of merchandise you need, and the inventory turns ratio (ITR) can help you find the inventory levels for your business. High availability means buying, carrying, and storing a lot of product. Inventory costs money, so you end up using capital that could otherwise help grow and sustain the company. Too much money in inventory can also affect your need to finance and how much you might need. And there are other problems: Inventory ages, not only on the books, but on the shelves. You may have products fall out of support, become discontinued, get damaged, or otherwise lose value. Then there’s the cost of storage space and increased headcount to manage the additional product. This all adds up to money your business will have to spend on maintaining a constantly full inventory level. Instead of more inventory, consider replenishing stock more frequently. So long as there are enough products on the shelf to satisfy orders that will come in until the next delivery, you can keep customers happy and reduce costs. This is why you need to look at the ITR. ITR shows how frequently you replace stock over a given period – such as each month, each quarter or each year. Calculate inventory turns by dividing the cost of goods for the sales you make in a period by the value of your average inventory over the same period. The idea is to push inventory turns as high as you can to make better use of that inventory. Finding the right ITR can be a challenge. If you drive turns too high, you may miss filling orders in a timely basis because you don’t have the products you need. Too low, and it means cash is locked up. Balance inventory turns with sales, vendor stock availability, supplier reliability, and minimum order sizes. Sales fluctuations like seasonality or outsized importance of certain products can also make it tougher to monitor and control ITR. Arrival of new stock in a timely manner becomes more critical. There is no magic way to know what ITR will be right for your company, but understanding how ITRs work may help you test stock levels and optimize for your operations. A great idea is only one part of what makes a business successful. 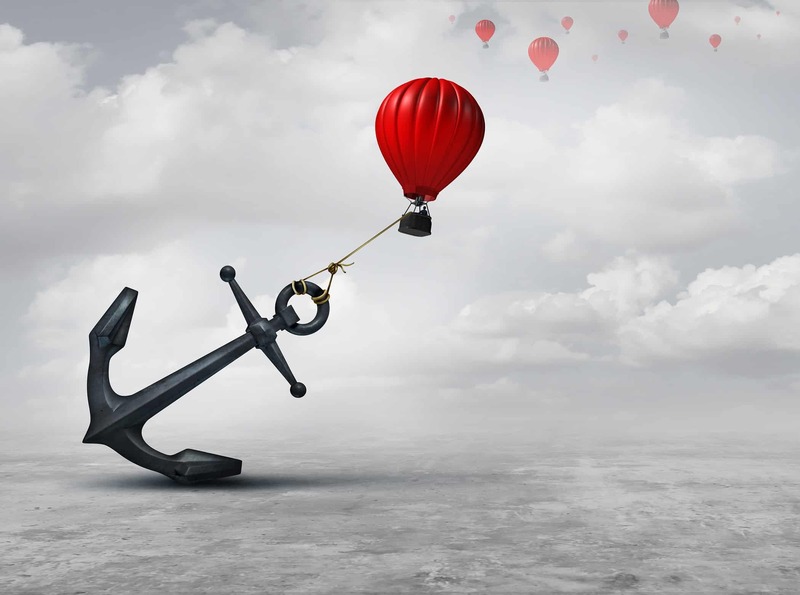 From not researching your market to not vetting or training your employees, there are plenty of pitfalls small business owners can make that could be easily avoided with a little knowledge and preparation. Here are seven common missteps to avoid in your small business. 1. Not performing market research. Making sure customers want your product or service enough to pay for it is an important piece of initial market research. So is having what you’re selling priced at a profitable point, and one that doesn’t price you out of the market. Location: Where do your customers live, and where can your business reach? It is also important, once your business has been established, to continually look into each of these areas to ensure that your product and services portfolio continues to be relevant and profitable. 2. Not preparing for a cash flow crunch. Many small businesses face cash flow problems at some point in their early stages. In fact, WePay reported in May 2017 that 41 percent of businesses had experienced cash flow issues in the past year and 16 percent had experienced payment fraud. Projecting when a cash flow disruption might happen and making sure you have access to funds, or enough in reserve, can be difficult. That’s why the nonprofit SCORE has a variety of free financial templates for small businesses, including a cash flow budget worksheet. 3. Not securing financing before you need it. Even if you start with personal funds and cash from friends and family, sooner or later you probably will need additional funds. While 57 percent of new businesses used personal savings, according to the SBA, 73 percent of small firms used outside financing. The key to securing financing is planning ahead. 4. Not having a website. It seems almost unthinkable, but according to a Clutch business research survey, 29 percent of all small businesses in the U.S. still don’t have websites. And in the Midwest, 42 percent of small businesses still don’t have websites. Websites like Squarespace.com and Wix.com make it easy to create your own business site without having to know coding. 5. Not hiring the right team for your culture. Hiring employees with the right skillsets is important, but so is finding employees who fit with your company’s culture. Look for their passion for the industry, not just their interest in the position. Ask open-ended questions to get a sense of how they think, versus how they respond, especially if your company rewards creativity and problem-solving skills. Some companies will have perspective employees do a “test run” before an official hire is made to help the job candidate and company decide if the fit is right. For example, why not try 30-days of contract work with a potential new employee before making them full time? Just be sure to check your local employment laws beforehand. 6. Not understanding your creditworthiness as a business. Unlike your personal credit score which tends to be based on the same financial information across providers, there isn’t one single business credit score methodology that covers everything for lenders. For example, Dun and Bradstreet rates businesses via a viability rating, a supplier evaluation risk rating, a delinquency predictor score, a financial stress score, a D&B rating and its most well-known Paydex score. The Paydex score looks at your payment history for the past two years and rates your company. Scores range from 1 to 100 based on your promptness to pay bills. A score of 80 to 100 is good. The reason, if you score an 80 it means you promptly paid your bills on time. Anything higher means you pay your bills before the payment was due. And, a score lower than 80 indicates a late payment. Business credit scores help pinpoint your company’s creditworthiness by looking at how much credit your business has used, type of customers, and if you pay your bills on time. There are plenty of other factors and systems including Equifax Small Business, which doesn’t give a single score, Experian’s Intelliscore Plus and FICO Small Business Scoring Service. The better your scores, the better the lending rates and your borrowing power may be. Concerned about your company’s credit score? 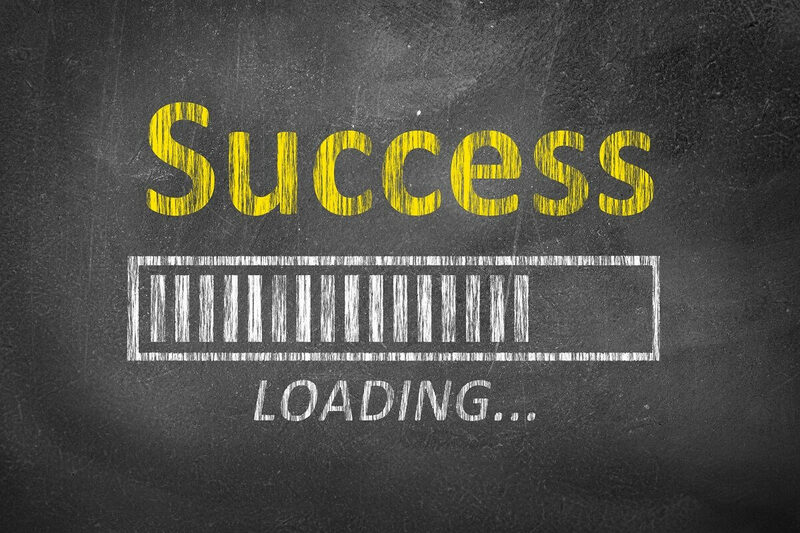 Here are some ways to start improving your business credit score. 7. Not learning the basics of accounting. Most entrepreneurs don’t start a company because they love accounting. But without some basic skills, it can be hard to keep track of what is going on financially. Even if you offload everything to a bookkeeper, you still need to understand how to read financial statements, and understand what income statements and balance sheets are saying. 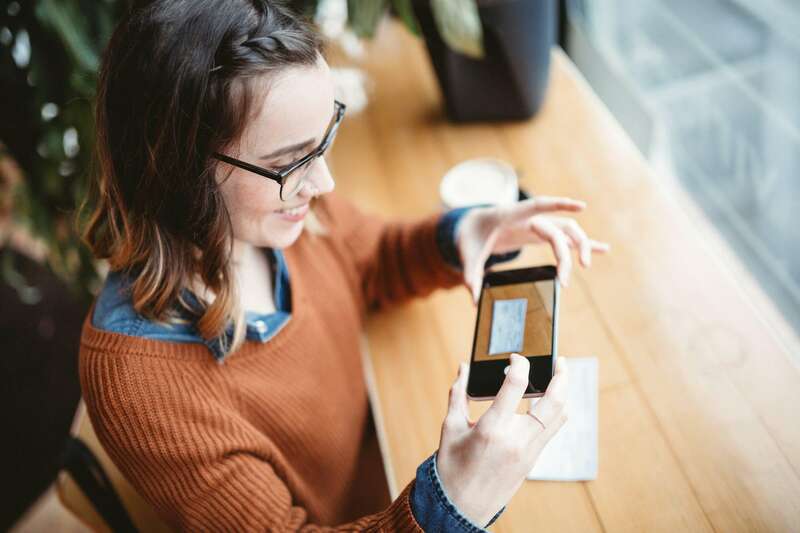 Thanks to mobile technology, business owners now have a variety of accounting apps designed for businesses that provide easy ways to understand your business’s finances and to keep on top of accounting. Payroll — and everything that goes with it — can be confusing and stressful, even to seasoned entrepreneurs. Chances are, when you dreamed of launching your business, payroll and human resource management weren’t part of the picture you imagined. While some entrepreneurs love dealing with logistics, paying employees incorrectly can invite costly mistakes; the IRS can penalize business owners with up to five years in prison for failure to comply with quarterly payroll tax contributions and other federal payroll laws – just to cite two examples. Those are pretty high stakes! Choosing a payroll partner may simplify the process and decrease your potential of being non-compliant with local, state, and federal tax laws — especially if you have employees in multiple states. Below are questions and considerations for choosing the right payroll partner for your business. Is my company large enough to need a payroll partner? When my business partner and I launched our marketing company, we only had one employee. She and I took distributions from the LLC, so we thought we could get by without a payroll partner. That was a BIG mistake, because although we thought we had familiarized ourselves with all the laws, we missed an important requirement about quarterly reporting. That mistake cost us over $1,000 in fines, plus hours and hours of stress and paperwork. Additionally, it drew our attention away from managing other areas of our business. Ultimately, we were doing a C- job on payroll instead of finding an A+ partner to help us and spending our time doing A+ jobs on things like marketing and biz dev instead. Our HR and our core functions were suffering because of this choice. Double-whammy! If you’ve got at least one employee, you may benefit from a basic payroll partner. That’s because payroll encompasses a LOT more than just making sure employees get checks every two weeks. Withholding employee and employer taxes. Withholding non-tax contributions like retirement, medical benefits, and garnishments. Who should influence my partner search? After my business partner and I got hit with the fines for our tax mistake, we knew we needed professional help. The most important component to finding a payroll partner can be having a great accountant or CFO. Now, we have an outsourced accountant who is a critical member of our team. He helps with every financial decision – from payroll to retirement to benefits. The few hundred dollars a month we pay for his services saves us thousands of dollars a month in headaches … and, more importantly, frees up time for the business functions no one except us can do as owners. If you’re just starting out looking for a payroll partner, chances are an outsourced accountant can be a good fit for your business, rather than a full-time, dedicated HR employee or a founder who wears an accounting hat part-time. The reason it’s important to include an accountant or other advisor in your search for a payroll partner is because they will be able to help you assess how much service you actually need in a partner. What should I look for in a payroll partner? Every small business is different, so the complexities associated with the financial management of each varies greatly. At the core, a payroll provider should make your work-life easier, not harder. It should offer convenience, transparency, and easy to access support. If you’re choosing a partner based primarily on cost, make sure you have a complete understanding of any “extra” fees that you might incur for things like direct deposit or onboarding new employees. Be sure that the partner integrates with the rest of your business software. The first payroll partner my business used was Intuit. We were already using Quickbooks to track our accounts receivable, so Intuit seemed like a good choice for payroll. It was affordable, easy enough to navigate, and integrated well with the rest of our business; however, we quickly realized we needed help with more than just payroll. Is payroll really all I need? While some small businesses may just need a payroll provider, we needed a lot more. We found that, in order to attract the best employees, we were going to need to offer things like competitive retirement benefits and healthcare plans. Then we found that hiring employees meant more rules and regulations around workers’ compensation, liability insurance, unemployment insurance, and lots of other things we hadn’t initially considered. We decided a Professional Employer Organization (PEO) was the right fit for our business. A PEO is an organization that offers an entire suite of benefits and services to small- and medium-sized businesses, including payroll, health insurance, retirement plans, workers’ comp, risk and liability management, and other HR functions. We chose TriNet as our partner, but there are many PEOs, including Just Works, ADP Total Source, and Oasis Outsourcing. For us, a PEO was an attractive solution over the alternative of cobbling together services from various providers and hoping the technology with each would integrate together into a single solution. If you’re a growing business, or if you have complexities like offices in multiple states or partners who want to put aside money for retirement, a PEO might be a good choice for your business. The monthly costs can be higher than a payroll-only solution, but significantly lower than an in-house HR expert. So, what’s the right choice for me? Like choosing a business structure or a new employee, your decision shouldn’t be rushed into. The time spent getting it right the first time is a fraction of the time it will cost if you make the wrong decision and have to start over. If you have an accountant or similar partner, talk to him or her about the right choice for your business. If you don’t have an accountant, consider that as your first step before moving forward, because he or she can be a critical component to a successful, growing company. What are the best human resource apps for small businesses? Though human resource departments in big, multinational companies look a lot different than they do in a small business setting, both deal with similar issues on all levels of business. And both could use some help from technology. To help streamline processes and make your business a better place for you and your employees, here are 12 must-have human resource apps and how they can help your business. With new hires, there’s always paperwork. But with WorkBright, you can cut out all the paper documents. The process is remarkably simple. New employees receive an email and a link that opens all on-boarding documents for them to read through and sign. This saves a lot of time on the first day. You don’t need to outsource your payroll to a third party. With Gusto, you get an easy-to-use interface that allows you to simplify payroll onboarding and also automates the process by calculating taxes, benefits and submitting payroll filings. Coming up with a schedule can feel like an elaborate math problem. With Deputy, juggling who works where and when just got a lot easier. With spreadsheets, time clocks and a mobile-first approach, it also allows you to send out schedules to employees and to payroll with just one click. Whether in the hiring stage or 10 years into their career, it’s important to have a way to measure how your employees are performing. PeopleFluent is an app that helps you track an employee’s development at your company. Career development, pay management and applicant tracking – all at your fingertips. The app Nudjed is designed to make workplace wellness programs more effective. Employees create profiles, input information and through deep analytics, receive personalized health advice. It also allows you to track the progress of everyone in the program. For projects small and large, every HR manager can benefit from DropTask, a visual project management app that clearly defines workflows and responsibilities while eliminating juggling and guessing. Stop relying on all those scraps of paper! With features like due dates, reminders and the ability to assign tasks to others, Wunderlist will help you prioritize and follow through. Because we can all be forgetful. With payroll and insurance portals, benefits pages and any number of other secure sites they need access to, HR managers have a lot of passwords to remember. LastPass basically takes care of this by storing all your passwords in one place. Keep track of those expenses. Make receipts stapled to expense reports a thing of the past. Expensify is an Intuit app that makes it easy for employees to submit claims and for you to track spending and budget more effectively. Many small businesses conduct surveys every quarter to get a sense of morale and where the company is at. Peakon is an app that prompts employees with questions and gives HR managers real-time analytics based on the feedback. The genius in the app is its design, which helps get a 90 percent response rate. Namely is one of the most widely used, and most exhaustive, pieces of software available for a company’s HR needs. Its centralized platform can be easily customized and allows you to do everything from track time off and automate workflow to store documents and more. Oh, and you can do this all from their app as well. All-in-one for the small players. If Namely is widely used across the spectrum of businesses, Zenefits is the all-in-one choice for small-business owners. Its dashboard allows you to access and manage benefits, time tracking, payroll, compliance and more. The easy pricing system lets you select the features you want. There are dozens of other options out there, but if you only looked at this list, you would surely find a few that could transform how you do HR. How can you improve company culture? Small business owners tend to think a lot about their company culture. In fact, they probably think about it a lot more than presidents or owners of larger companies. There are several reasons for this. On a personal level, small business owners tend to be more involved with the day-to-day happenings of their company. They have their boots on the ground and directly interact with employees. That is, the culture of the company directly affects them. On a more practical level, it’s in their interest to cultivate a culture that inspires and supports employees. They may not be able to compete with larger corporations when it comes to pay or benefits, but they can create a culture that attracts top talent and keeps them around. From an employee perspective, 53 percent of employees say that a greater work-life balance and personal well-being is “very important,” according to a Gallup poll. According to another survey, 80 percent of millennials report that a highly flexible workplace has a very/fairly positive impact on their work-life balance. For employers, a strong culture means a more engaged workforce. 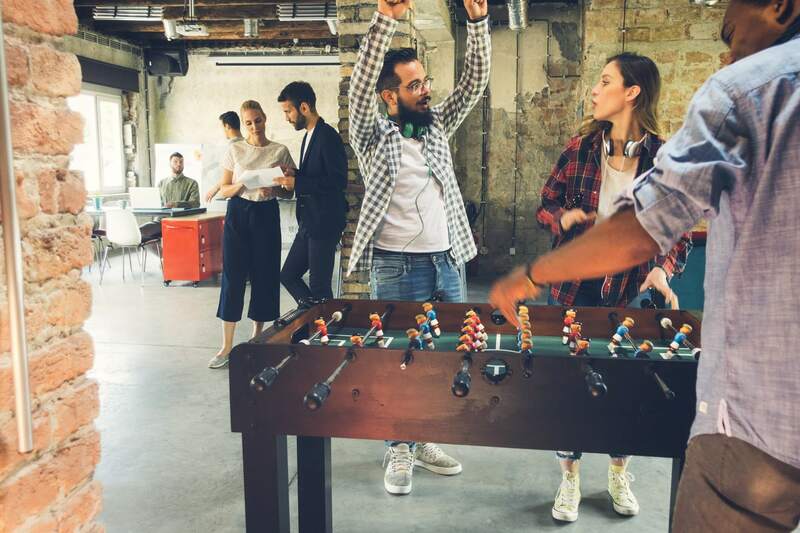 With only 16 percent of employees reporting that they felt “connected or engaged,” it’s in the best interest for a company to strive to create a culture that engages their workers. This is especially true for businesses with a small number of workers. How you set out to define and shape your workplace depends on the needs of your employees and your business goals. Companies that foster positive workplace environments have one thing in common: They all do it differently! That being said, it does help to learn from those who have mastered this particular art. In these examples, it’s likely that you will find an idea or two that could have an impact on your culture and improve your overall business. We admit that it’s something of a cliché to cite Google as an example of a great place to work. Perks like table tennis, beanbags, nap rooms, multiple cafeterias serving up free gourmet food and yoga classes are legendary. You might have some beanbags in the office, but as a small business owner, how can you possibly compete? While you might not be able to provide the same material comforts and goodies, you can take a cue from Google’s workplace spirit: Expect the most from your employees, but at the same time, trust them. Offering them perks and time to relax will make work seem less like work. At the same time, employees should know what’s expected of them. This combination helps bridge the gap between work and life, creating a more engaged workforce and greater employee loyalty. Not too many companies have such a fun culture that they offer to bring in groups to tour their offices. Zappos does. But it’s not just ball pits and quirky art that make for a great company culture. Tony Hsieh, the CEO of Zappos, doesn’t have an office that takes up an entire floor or is behind a wall of security. He sits in the call center, right alongside those listening to customer complaints and trying to figure out how an order got messed up. In fact, every new hire is required to work in the call center for four weeks. The hotshot with a freshly minted Harvard MBA interacts with a high school dropout. This effectively breaks down the hierarchy, allowing them to build honest relationships and keep lines of communication open. Through its Officer Training program, employees at Evernote sign up to learn how everyone else does their job. Part of this training involves attending two additional meetings each week, in a department they don’t work in. Those in Officer Training absorb the information, ask questions and become more involved in the company’s overall operations. The world of tech startups is a notoriously fast-paced, stressful environment where burnout is high and competition stiff. As CEO of Treehouse, an educational site where people can learn to code from any number of courses, Ryan Carson had firsthand experience of this crushing culture. So he tried something that many people would call foolish: He implemented a four-day work week. The idea is simple: More time doesn’t mean more productivity. Employees who are not squeezed are more likely to have those epiphanies that can bring the project, or the company, to the next level. When you think about working at a grocery store, the words “loyalty” and “ownership” don’t exactly come to mind. But the Florida-based supermarket chain Publix has created a culture that revolves around employees. Full-time and part-time employees are given stock options that increase the longer they are employed. Their Publix career site is full of resources to help employees grow in their career. A huge inspiration for this is the fact that President and CEO Todd Jones began his Publix journey as a part-time bagger. The result? Among full-time employees, Publix has a less than 5 percent voluntary turnover rate and is the largest employee-owned company in the world. Employee engagement is more important to your business then you may realize. A recent Virgin Pulse State of the Industry Survey has found that 88% of businesses planned to improve employee engagement throughout 2017. Why is that? Because not only is employee engagement an important area of focus for the overall happiness of your employees, but improved employee engagement can also vastly improve retention and increase the productivity of your workforce. Businesses that remain highly engaged with their staff have seen a 41% reduction in absenteeism and a 17% increase in productivity, according to a State of the American Workplace Report. Have you begun tapping into the potential that employee engagement has for your business? If not, it’s time to get started! Here are a few ideas that are easy to implement. Giving your employees the freedom to connect and bounce ideas off of each other can help in gaining new perspectives. This can be something you put in place for just 30 minutes or even an hour. Even that short amount of time could have a profoundly positive effect on projects and initiatives. It will also build upon your employees’ creativity. Supporting the flow of ideas and the projects of your employees will not only show that you care and improve morale; but it will also help your business’s bottom line. Help to give your employees a day or two out of the month to volunteer for a cause they support. Or the entire company could choose one cause to support. Either way, this will help in keeping employees engaged and build camaraderie, thereby improving corporate culture and your reputation as an employer. Volunteer Match can help you get started. This site matches individuals and businesses with non-profits that need volunteers. Make sure that you are equipping your employees with the tools and systems they need to not just do their jobs, but to make it as easy as possible for them to complete their tasks. Having the right tools will help the members of your team to invest their energy into doing the best work they can. What is the best way to get started? All you need to do is ask your employees what they may need to get the job done! But, make sure that you have the basics covered before you move on to other, more abstract, ideas. The best way to know how to improve the work place environment is to get feedback directly from your employees. A simple way to collect this feedback is through mobile employee engagement surveys. These tools can make recording feedback much easier for both you and the employee. They also create a more interactive experience by allowing you to attach media elements such as photos, videos and surveys. Check out this list of apps that can help you to drive employee engagement. Now what are you waiting for? See if you can implement at least one of these strategies. The results will not disappoint you!